The process of standardizing the reporting time periods of financial statementsThree Financial StatementsThe three financial statements are the income statement, the balance sheet, and the statement of cash flows. These three core statements are intricately linked to each other and this guide will explain how they all fit together. By following the steps below you'll be able to connect the three statements on your own. is called calendarization. To make comparable companies “equal,” the financial data of each company must be standardized so that there is a fair basis for comparison. For example, if you are examining a set of companies with fiscal years ending March 31, June 30, and September 30 and the company you are analyzing follows a fiscal yearFiscal Year (FY)A fiscal year (FY) is a 12 month or 52 week period of time used by governments and businesses for accounting purposes to formulate annual financial reports. A Fiscal Year (FY) that does not necessarily follow the calendar year. It may be a period such as October 1, 2009 – September 30, 2010. ending on June 30, you must calendarize based on the company you are valuing. In this case, you must adjust the other companies’ fiscal years so that they end on June 30 for ease of comparison. When publishing financial reports, most companies base their financial statements on a fiscal year ending on December 31. However, some companies may follow a fiscal year ending on a different date – e.g., March 31, June 30, or any other time of the year. (Note that it is standard practice for a fiscal year to always end on the last day of a calendar month.) However, when a company intends to benchmark its performance against comparable companies, it must account for any difference in the fiscal year between the companies. Comparing financial data of various comparable companies with variations in their fiscal year will result in inaccurate results. Some companies experience peak months at certain times of the year, and if some months are excluded, then that is likely to give a false impression of the company’s financial data. Some countries base their fiscal years on the standard calendar year, while others follow a different fiscal year as determined by the government. The calendar year starts on January 1 (New Year’s Day) and ends on December 31 (New Year’s Eve), with 365 days in each year (366 days once every four years – leap year). The main types of calendar years are the Islamic and the Gregorian Calendar. The latter is the most commonly used calendar year around the world. On the other hand, a fiscal year is a period of 12 months that is used to calculate and prepare annual financial statements by companies and governments around the world. Key financial statements such as the balance sheetBalance SheetThe balance sheet is one of the three fundamental financial statements. These statements are key to both financial modeling and accounting. The balance sheet displays the company’s total assets, and how these assets are financed, through either debt or equity. Assets = Liabilities + Equity, cash flow statement, and profit & loss statementIncome StatementThe Income Statement (or Statement of Profit and Loss) shows performance from operations of a business. The financial statement begins with revenues and cover a specific period that’s been chosen as the official accounting period. 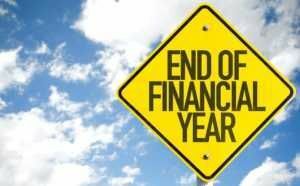 The accounting period must be prepared for a period of 12 consecutive months. This helps a company to obtain important financial statistics and understand how they are performing at the end of the year. Countries such as China, Japan, Germany, Singapore, France, Russia, and the United Arab Emirates use the Gregorian calendar (January 1 to December 31) as their fiscal year. India, Canada, and the United Kingdom follow a different fiscal year, which runs from April 1 to March 31. The United States Federal Government’s fiscal year begins on October 1 and ends on September 30, while the various state governments set their own fiscal year. Governments use the fiscal year timeline to prepare budgets and create laws so that taxpayers submit their returns within the stated financial period. In most countries, businesses are allowed to adopt a fiscal year different from that used by the government. Calendarization of financial statements also occurs when a parent company is presenting consolidated financial statements to its stakeholders. The parent company must consolidate all financial statements, including those of its subsidiary companies. If the subsidiary companies use different fiscal years from that of the parent company, then they must be adjusted to the parent company’s fiscal year. Consolidating financial statements with different fiscal years would not make sense, and would result in inaccurate financial statistics. For example, assume that parent company ABC owns two subsidiaries, X and Y, and that its fiscal year runs from April 1 to March 31, while one of the subsidiaries uses a fiscal year beginning on July 1, and the other subsidiary’s fiscal year runs from January 1 to December 31. When consolidating the financial statements of these three companies, the first step is to adjust the reports of subsidiaries X and Y to the fiscal year running from April 1 to March 31. The parent company will also be required to make a note disclosing that the subsidiaries’ financial statements were prepared for the fiscal year, to allow for consolidation. Both calendarization and Last Twelve Months (LTM)LTM (Last Twelve Months)LTM (Last Twelve Months), also known as trailing or rolling twelve months, is a time frame frequently used in connection with financial ratios, such as revenues or return on equity (ROE), to evaluate a company’s performance during the immediately preceding 12-month time period. Not necessarily related to fiscal year are used during comparable analysis. Comparable companies analysis involves comparing the operating metrics of public companies in a peer group with those of a target company. Companies in a peer group are categorized based on factors such as industry, size, leverage, and growth characteristics. A comparable analysis is essential when performing company valuations. While calendarization adjusts financial statements data for a fiscal year, LTM takes the preceding 12 months data to use for calculating financial metrics such as earnings, EBITDA, or revenue. Although the last 12 months may be a relatively short period to evaluate a company’s performance, it is a valuable tool to determine the company’s most recent performance and current trends. The LTM figures are more recent than the annual financial reports, and therefore considered a more reliable tool, since they eliminate short-term, potentially misleading metrics such as quarterly reports. When using LTM figures, investors should differentiate the figures as coinciding with the company’s most recent reports for the fiscal year. The LTM refers to the preceding 12 months from the time the financial statement is dated. For example, if the financial statement is dated June 2017, the last 12 months covers the period starting from July 1, 2016, to June 30, 2017. However, calendarization adjusts the fiscal year to the fiscal year of the parent or valuing company so that there is a “clean” basis for comparison. Thank you for reading CFI’s guide to calendarization. To learn more about financial statements and reporting, see the following free resources.